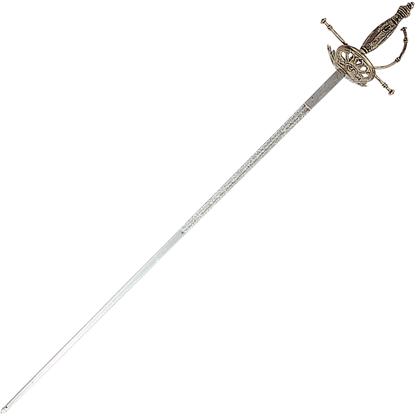 The rapier is a classic standard; it was once regarded as the sword of choice not only among gentlemen and nobility, but also became one of the most common swords of the era, achieving nothing short of wide-spread use, both in matters of personal honor and in actual conflicts between enemies. And now, we are happy to offer you a number of decorative fencing rapiers. Each and every one of our decorative fencing rapiers are modeled after the appearance or style of a rapier that was, at one point, accepted and common; some are actually even replicas designed after historical swords. Each of these swords is beautifully crafted; many feature swept guards or cupped guards, which are two of the most common guard styles associated with the rapier. And while many of our decorative fencing rapiers appear to look functional, none of them truly are; these decorative and beautiful rapiers are replications that are designed to convey a sense of prestige and power. They are display items that are not meant to withstand the rigors and stresses of actual combat for any period of time. 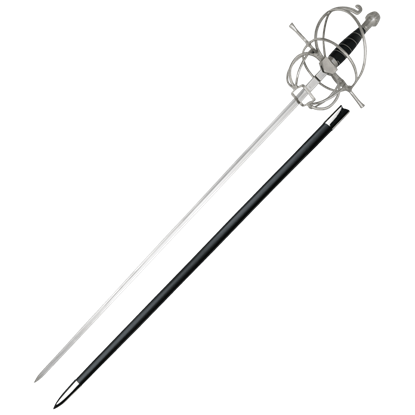 If you are looking for a rapier that you intend on using in combat or sparring, check our other fencing sections. 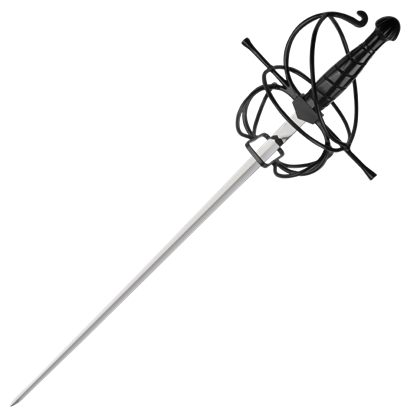 But if you are looking for a beautiful, period-accurate rapier that will proudly occupy a place on your wall or mantle, then look no further than our decorative fencing rapiers. 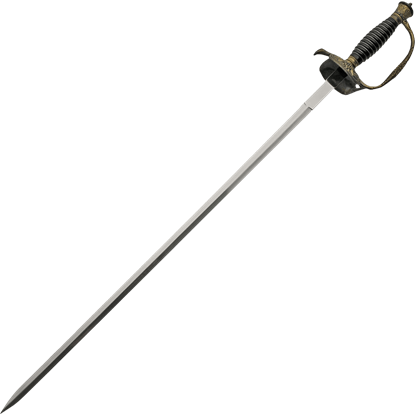 Precision, agility, and technique are all three things that the rapier emphasizes, thanks to its narrow blade. 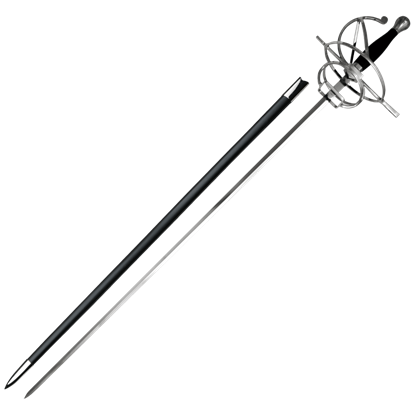 This Black Wire Hilt Rapier recreates the look of a historic sword that gradually changed the way men fought with blades. The Crusading Knight Small Swordis a remarkable interpretation of the emblems and weapons associated with medieval knights. 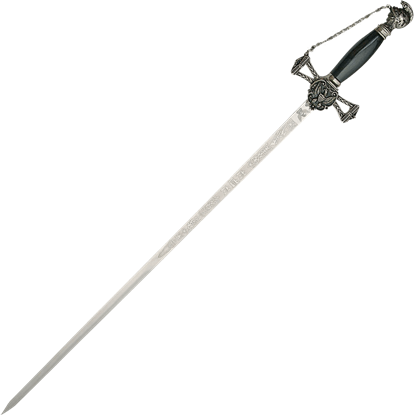 This replica sword features a clamshell guard and subtle etching down the ricasso of its stainless steel blade. One of the most influential writings of Spanish literature, Don Quixote is a story centered around a man entranced by tales of knighthood. 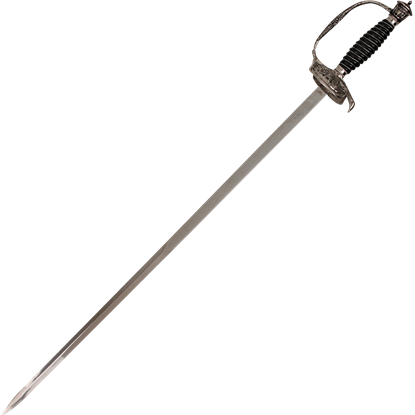 The Don Quixote Spanish Rapier features scenes of the novel upon its antique style hilt. 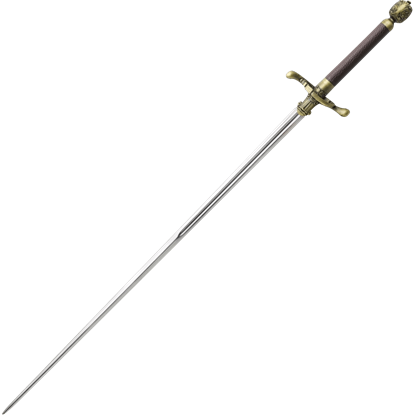 A smallsword is a style of sword with a thin, narrow blade, made as much for fencing and defense as for offense. 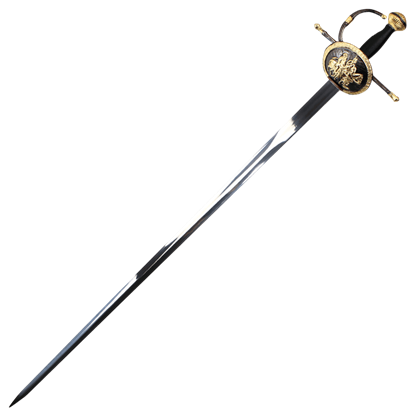 In the case of this Knights of St. John Smallsword, it is also made with a decorative look that will wow all who see it. 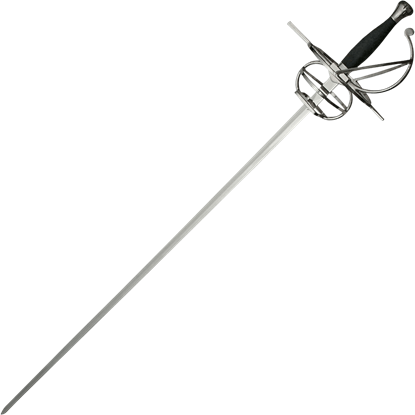 Predecessor to fencing weapons as we know them, the Rapier is nearly the progenitor of a line of swords that emphasizes precision, agility, technique, and a counter-and-thrust style that has become the modern sport of fencing. 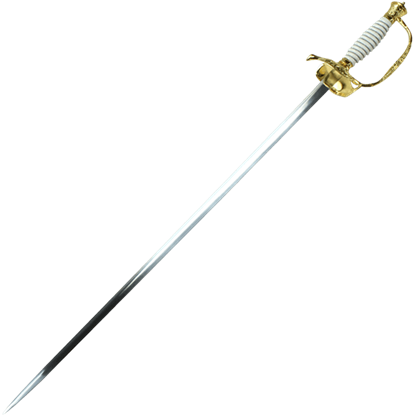 Predecessor to modern fencing weapons as we know them, the Rapier is the progenitor of a line of swords that emphasize precision, agility, technique, and a counter-and-thrust style that has become the sport of fencing. The Freemasons are one of the most intriguing societies in existence, their history clouded with questions and conspiracies. You can bring the mystique of this ancient organization into your home with the Masonic Small Sword.